Project total cost including land capture:$ 2.607 m.
Land capture cost: $ 450 m.
Project estimated cost:$ 2.157 m.
Project location: tthe Rail line running through the Governorates of Naynawah and Duhok. Designed speed: 200 km/h for passengers using electric trains. 140 km/h for goods using electric trains. The Project supplementary Service facilities: stations, bridges, archways, repair workshops, sign and communication systems, houses for the workers. 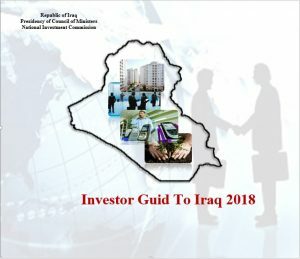 Project total cost including land Acquisition:$ 1.850 m.
Land Acquisition Cost:$ 350 m.
Project estimated cost: $ 1.500 m.
Project location: Railway line running through the Governorates of (Kirkuk and Sulaimaniyah). Project axis length: 118 km one-way line, possible to be two-way line in the future. Project Supplementary Service Facilities:stations, bridges, archways, repair workshops, sign and communication systems, houses for the workers. 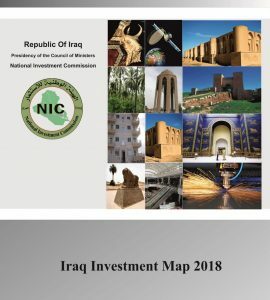 Project total cost including land Acquisition: $ 8.674 m.
Land Acquisition Cost:$ 1.674 m.
Project estimated cost:$ 7.000 m.
Project location: Railway line passes through the Governorates of (Baghdad, Ba’quba, Kirkuk, Irbil, and Mosul). Designed speed:250 km/h for passengers using electric trains. Project Supplementary Service Facilities: stations, bridges, archways, repair workshops, sign and communication systems, houses for the workers. 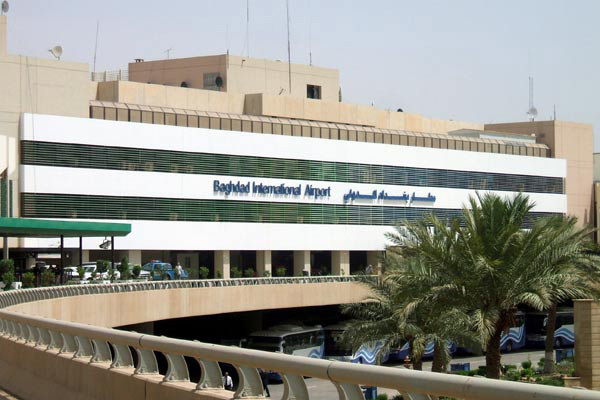 Project total cost including land Acquisition: $ 7.612 m.
Land Acquisition Cost:$ 1.512 m.
Project estimated cost: $ 6.100 m.
Project location: Railway line passes through the Governorates of (Baghdad, Kut, Imara, and Basrah). Designed speed: 250 km/h for passengers using electric trains. Project attachments:stations, bridges, archways, repair workshops, sign and communication systems, houses for the workers. Project total cost including land Acquisition:$ 1.499 m.
Land Acquisition Cost:$ 299 m.
Project estimated cost: $ 1.200 m.
Designed speed: 140 km/h for passengers using electric trains. 100 km/h for goods using electric trains. Project total cost including land Acquisition:$ 385 m.
Land Acquisition Cost:$ 135 m.
Project estimated cost:$ 250 m.
Project location: The rail line passing through Basrah Governorate. Designed speed: 120 km/h for passengers using electric trains. Project Supplementary Facilities: stations, bridges, archways, repair workshops, sign and communication systems, houses for the workers. Project total cost including land Acquisition: $ 2429 m.
Land Acquisition Cost:$ 429 m.
Project estimated cost: $ 2.000 m.
140 km for goods using electric trains. Project total cost including land Aquisition: $ 11.000 m.
Land Acquisition Cost:$ 1.000 m.
Project estimated cost:$ 10.000 m.
Project location: Railway line passing through the Governorates of (Baghdad, Babylon, Kerbala, Najaf, Muthanna, Thi Qar, and Basrah). Project total cost including land Acquisition: $ 11.000 m.
Land Acquisition Cost:$ 1.600 m.
Project location: Railway line passing through the Governorates of (Anbar and Kerbala). Project Supplementary Service Facilities stations, bridges, archways, repair workshops, sign and communication systems, houses for the workers. 1st stage 2018: containers: 24 million ton/ year, sporadic items: 24 million ton/ year. 2nd stage 2028: containers: 40 million ton/ year, sporadic items: 32 million ton/ year. 3rd stage 2038: containers: 70 million ton/ year, sporadic items: 44 million ton/ year. Tow lines of Container berths, each of it is 3.5 km long, which is equals to 12 berths for each line, that is a total of 24 container berths with yards for container storage. berths for sporadic goods (grains, cement, etc.) of 3.5 km with the conveyor belts, which equals 13 berths. Road and railway lines net. Spaces for buildings and yards for trailer parking (almost 24 sq km). 30 km navigation canal and 17m depth. 4.5 km berths for various goods, (Equals 22 berths). Space for the industrial area (almost 8.5 sq km). 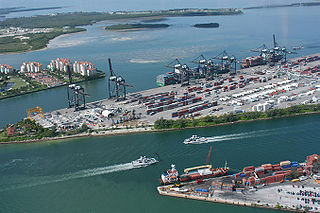 Depths within the harbor basin vary between 15-17 m.
Second:the new port’s requirements have been specified which includes the number and the dimensions of the required berths and spaces for container and sporadic items (wheat and others) depending on the expected volume of goods handled for the next thirty years to meet the local needs. 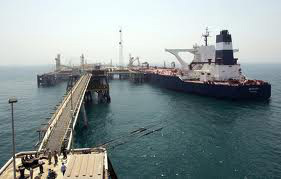 Project cost: $ 500 m.
Project location:Basrah (River 1, opposite to the berths of Um Qasir port). This project is a complementary part to the current existed ports at Um Qasir. 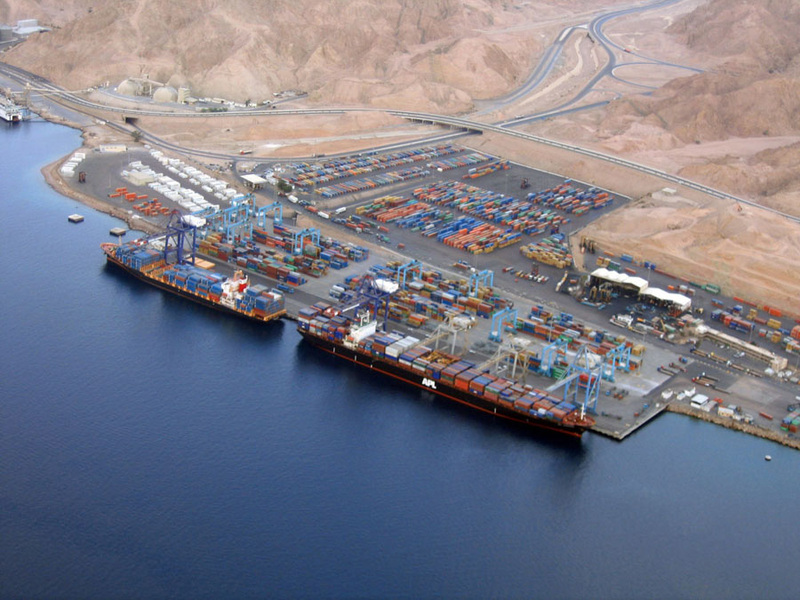 It aims to increase the capacity of goods charging and discharging at the port by establishing (13) multi-purpose container berths in addition to its attachments, equipments, services, service buildings, shelters, pullers, railways, internal roads, some container berths , and designated berths on a plot of 151773 sq m. at the location of river (1) opposite to the berths of Um Qasir port. Project location:Basrah (Southward of the berths of Khur Al-Zubair port). Designed capacity: 4.250.000 ton/ year. 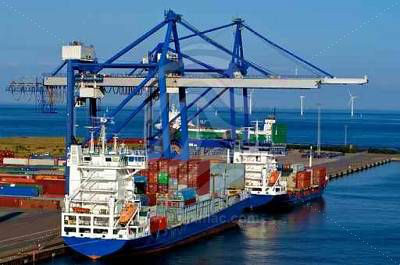 Since the berths capacities at the ports is limited, a suggestion was presented which is to establish a new separated concrete berths depend on steel pipe prop; four with the buildings and services for containers. The project includes the establishment of (13) multi-purpose container berths with all their requirements on a plot of 150.740 sq m. southward of the berths of Khur Al-Zubair port to increase handle capacity of the berths as their current capacity is (4) million ton/ year. The establishment of these berths shall increase the capacity of the port. 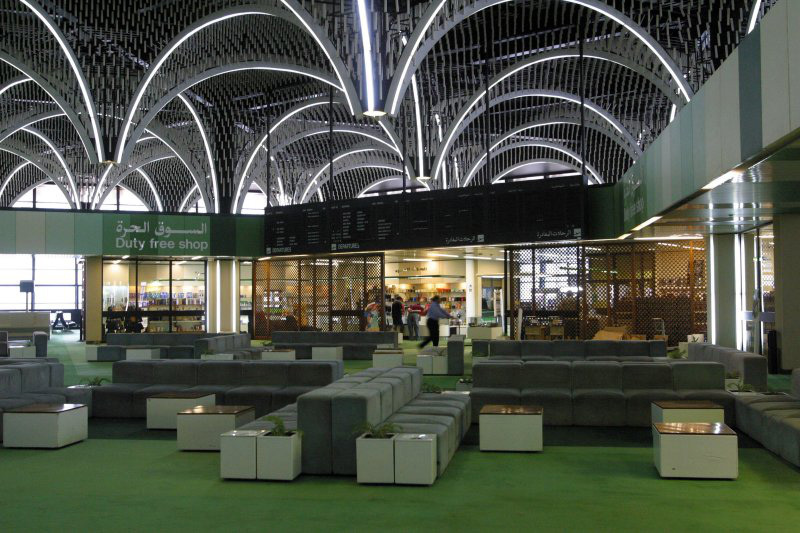 Designed capacity: 1st stage: 6 million passengers. 2nd stage: 12 million passengers. 3rd stage: 20 million passengers. It is one of the crucial strategic projects which will facilitate transportation in the central Euphrates areas and will activate and promote religious tourism at these Governorates. A contract was signed with a French Company to study the technical and economic profits assumptions for the project, the company also shall prepare and present the project designs. The project is held on an area of 45.717 sq km. 2. 4.500 m runway (code 4 F) capable for Airbus A380 landing. 3. 12 Contact for (2 code F airplanes, 10 code E/2C), and a number of airplane remote landing. 4. 60 m air monitoring tower. 5. 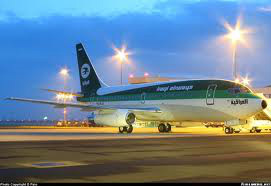 Airport City (its service facilities will be announced as investment opportunities). 6. Air charge building and its yard.